I have an affection for stones. Crazy as it might sound, while in Kanchipuram, I dropped by at the Kanchi Kailasanathar temple at the break of dawn. to walk among the oldest mad-made art in the temple city. 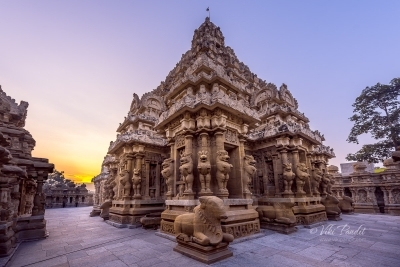 Located in one of the busiest cities of Tamil Nadu, the temple was commissioned in the 8th century by Rajasimha, the greatest of the kings of the Pallava Dynasty. 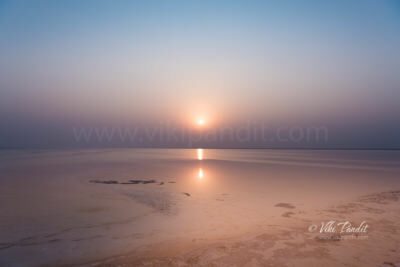 We drive to Mandvi Beach to laze out in the winter Sun. The beach is a curving stretch of yellow sand fringed by green waters, with windmills on one side and an uninterrupted view of the Arabian sea on the other. The sea is safe for swimming and the beach is ideal for walking. 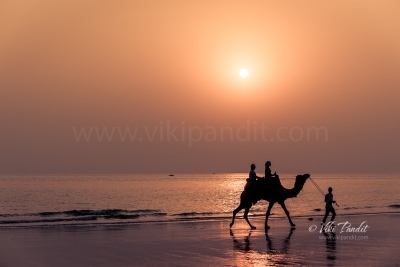 The beautiful beach offers many fun activities including Camel rides, bubble floats, speedboats and even para-sailing. But for us peace hunters, a few steps away there is the silence of the gentle waves and the occasional herons flying by. We ride out deep into the desert to explore Kalo Dungar also known as the Black Hill. 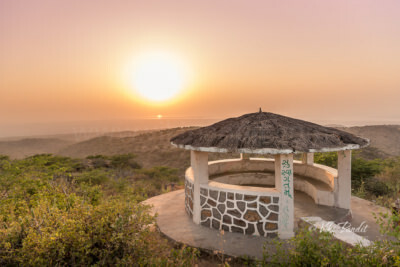 Kalo Dungar is the highest point in Kutch and the best place to enjoy a panoramic view of the amazing Rann of Kutch. Though not literally black, the hill is known so because in olden times, the merchants returning to Kutch from Sindh used to be guided by this lonesome hill in the grim desert, which used to appear black because of the shadow cast by the sun. 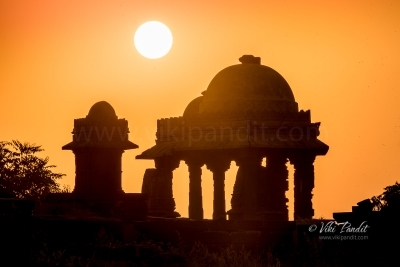 Chattardi in Bhuj is a small yet wonderful place to experience the history of Kutch. 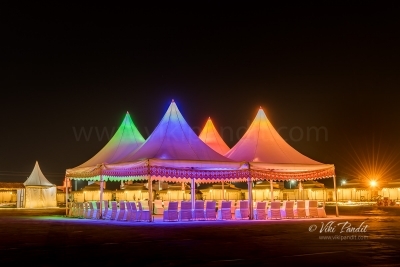 These Chattardis or umbrella shaped domes were built around 1770 AD to glorify the tombs of the Royal families of Rajput lineage. 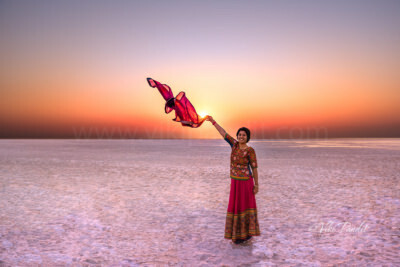 Surrounded by sea on one size and the grim Rann mountains on the other, Kutch remained cut off from the rest of India, in a time-wrapped cocoon with its amazing culture and art confined within these natural boundaries. Today we ride to a 16th century temple in Lepakshi. 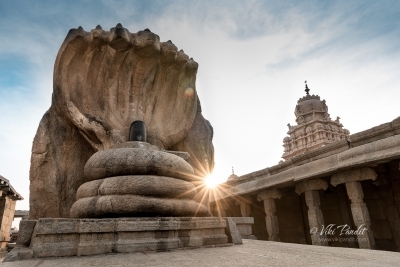 Hidden away in the suburbs of Andra Pradesh, this small town was sufficiently influenced by the stone sculptures of Vijayanagar Empire and includes a huge monolithic bull that sits staring at the Temple. 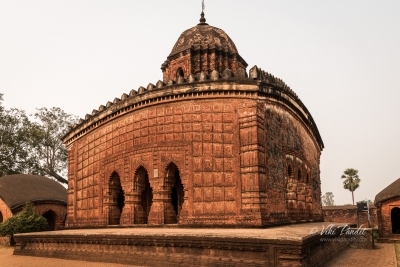 We drive deep into rural Bengal to witness the exquisite terracotta temples of Bishnupur. These extensively decorated temples were created during the 17th century using only baked mud and have somehow managed to survive the ravages of time.